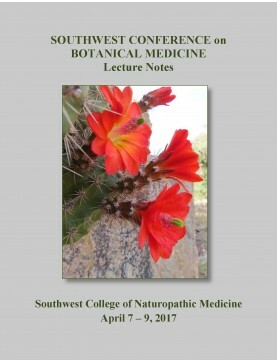 Presented at the Southwest College of Naturopathic Medicine, this conference featured a full schedule of clinically-oriented lectures including herbal/dietary therapies to mitigate effects of functional genetic mutations. See the full listing of lectures below. Included are presentations on restoring day/night cortisol cycles, herb-drug interactions, cannabis and cancer, epigenetics and mental health, EENT topical applications, neurohacking, treatment of MRSA, botanicals to support happiness and more. Also featured is the pre-conference intensive with Lise Alschuler: Botanicals for Immuno-inflammation with Emphasis on Cardiovascular Disease and Cancer, a 4 hour presentation offered for pharmacy credits for naturopathic physicians. Speaker: Jeffrey Langland. Part 1 describes the use of Fritillaria thunbergii as an adjuvant th..
Speaker: 7Song. What is it like to practice as an herbalist in an integrative free clinic? We t..
Speaker: Rhonda PallasDowney. How and when to use essences of Aspen, Crab Apple, Oak, Olive, Wa..
Speaker: Katie Stage. Neurohacking is a new term that encompasses biological interventions..
Speaker: 7Song. Common Southwestern plants for infections, wounds, burns and other maladies. Ho..